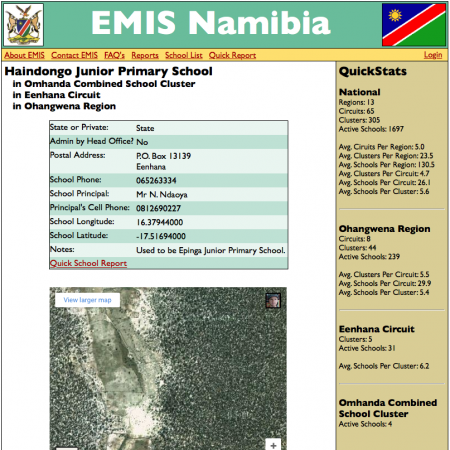 The Education Management Information Systems (EMIS) division of the Ministry of Education in Namibia collects data from its schools twice a year. 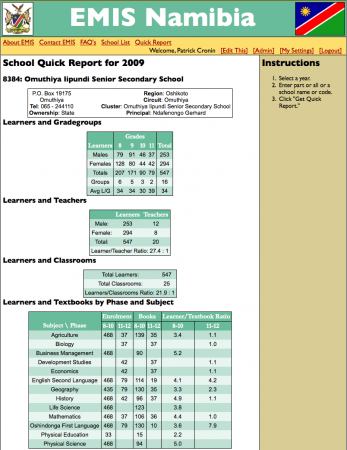 They publish the results in an annual report, and supply the information to decision makers. 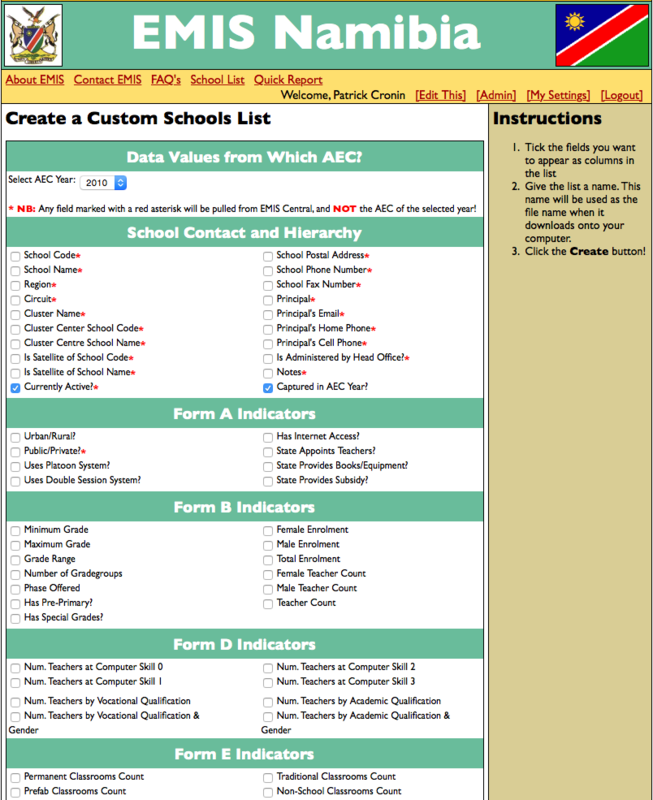 Additionally, they respond to hundreds of customized requests for data on the country’s schools each year. For the public however, it was difficult to obtain this information. Firstly, EMIS had a very small footprint–it had only 6 employees in a country of over 2 million. This meant that the majority of the public had no idea that the Ministry of Education actually had a statistics division. Secondly, for the members of the public who were able to find EMIS, reports came slow. Each customized data request required a custom-crafted SQL query to be written to extract the required information in the desired format. Since EMIS had a limited number of staff members actually able to create custom SQL, they weren’t able to respond immediately to each request received. As part of his role as Database Officer, Patrick worked to improve this. He designed and developed EMIS Central. 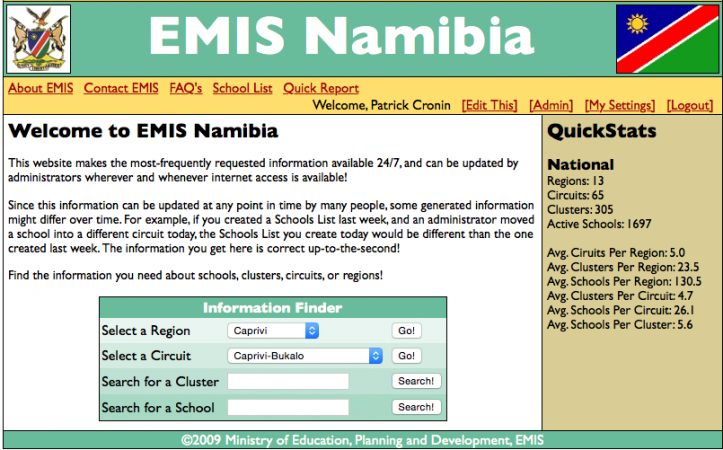 First and foremost, EMIS Central was to establish EMIS as a publicly accessible organization within the Ministry of Education. 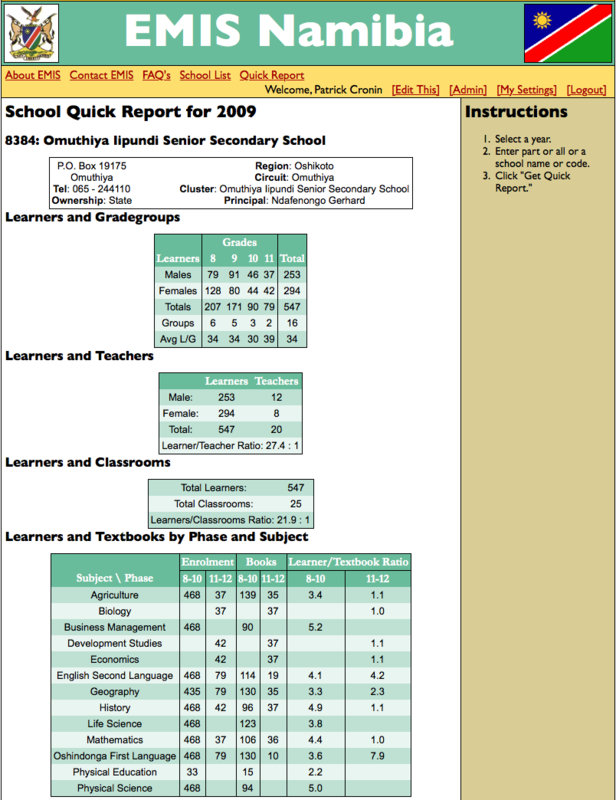 Secondly, the site includes two powerful report generating tools that allow users to create their own customized reports. 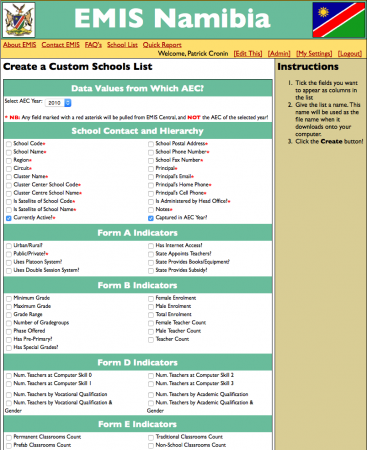 As a result of these tools, the amount of time required for EMIS to respond to custom inquiries dramatically decreased. We’ve set up a live demonstration of this system here. Demo login credentials are not provided as logging in is unnecessary.